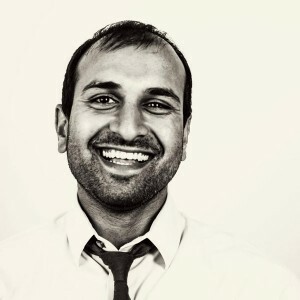 You’ve probably read articles recently from Sujan Patel in Forbes, Entrepreneur & Inc. on marketing and growing startups, and you may know him as a founder of Narrow.io and ContentMarketer.io and other brands that are invaluable to marketers. Today he provides us with great techniques for growing your Twitter following with exactly the people you want, and shares his own entrepreneurial journey as he loads us up on wise insights into how you pursue your dreams, grow your personal brand and find fulfillment from your work. Facebook will open up Instant Articles to all publishers on April 12th during the F8 conference. Google has dropped the right-hand sidebar ads from its desktop search results, switching to a 4-ad format instead. Google is removing PageRank scores from public view, and Danny Sullivan provides a look back at PageRank’s storied history. We discuss Narrow.io — the startup created by Jerad Maplethorpe which Sujan later joined. Narrow works by targeting users who post specific types of content to Twitter. 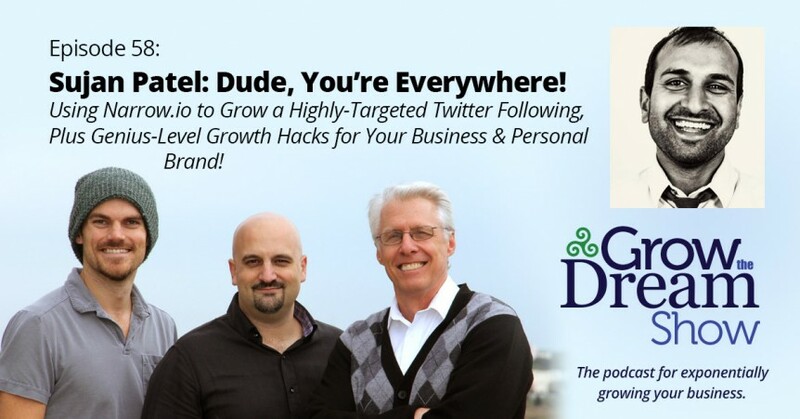 You begin by targeting specific keywords, both in tweets and in user’s Twitter bios. Sujan’s pro tips for finding even more hyper-relevant followers: add domain names where relevant content is published, conference & event hashtags, names of thought leaders, and even names of your competitors. When these are mentioned on Twitter, Narrow will target the accounts who posted the tweets as potential followers for your Twitter account. Another tool: Quuu.co helps you curate great content for your Twitter account by sending selected content to your Buffer account. In 2015, Sujan founded ContentMarketer.io, which features Connector and Notifier, low-cost tools to promote your content.